AN EARLY CHRISTMAS? Two Brand New Cubans Have Arrived! Just when we started to believe we’d not see a new Cuban until late October…BLAM!…we get hit with TWO special new Cubans – and with weeks of summer still left. Both are limited in production. 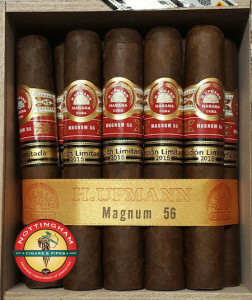 Included among them is the first Limited Edition cigar to be released this year, the H. Upmann Magnum 56. This behemoth measures nearly 6″ long with a 56 ring gauge, which is typically referred to as a ‘double robusto’ size. As with all LE’s, the tobacco is aged for at least 2 years before release. The second to arrive is even more unique. The Partagas Maduro No.1 offers the first ‘maduro’ cigar out of Cuba since 2007, and only the second maduro blend from that country overall (after the Cohiba). 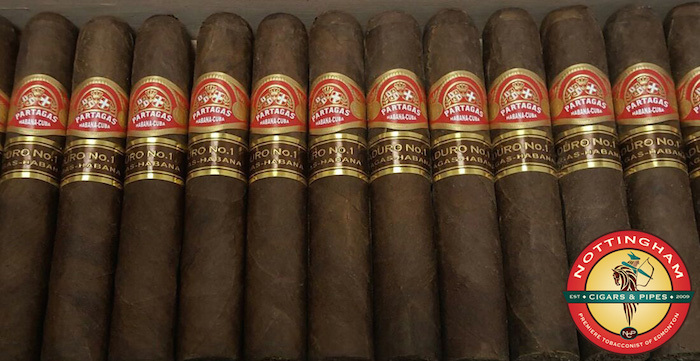 This robusto-sized smoke has been designated for La Casa del Habano and ‘Habanos Specialists’ stores only, so – as the latter – Nottingham Cigars & Pipes has received a small amount. With limited quantities of both, this is the perfect time to experience one of these beauties for yourself! 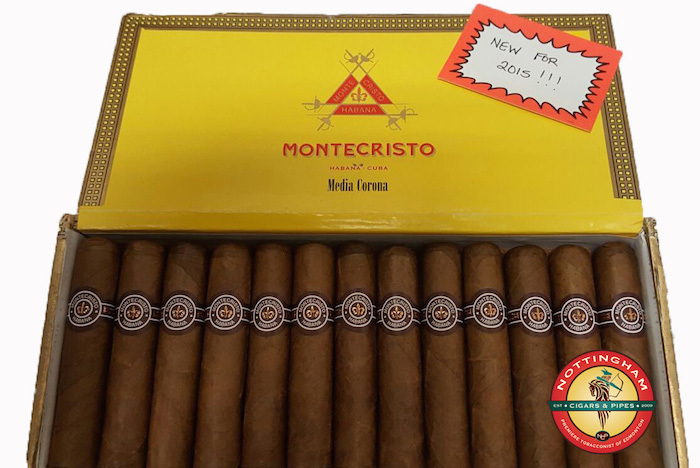 In July 2015 We Also Received A Brand New Montecristo Cigar! Is Montecristo finally catering directly to Edmonton and our neighboring northern cites with 6-8 months of harsh winter and lots of snow? It would appear so; after the release of the ‘Petit No.2’ in 2013, they’ve come up with another – ahem – ‘compact’ vitola for a quick smoke. The Montecristo ‘Media Corona’ is the newest addition to their Línea Clásica, which also includes the famous No.2 and No.4. The size (3.5″ x 44) is oddly both traditional and unique: it was a top-seller for different brands in the 20’s and 30’s, then faded into obscurity before a recent revival by the popular H. Upmann Half Corona. So, if you like the classic flavours of Montecristo but the ‘finger-feel’ of a Half Corona, you may have just found your perfect match!